Stuart (Matt Walsh) is having a mid-life crisis. 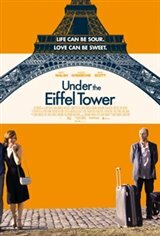 After losing his job, tagging along on his best friends' family vacation to Paris, and humiliating himself by proposing to their 24-year-old daughter, he teams up with Liam (Reid Scott), a self-proclaimed ladies' man. The two head off to the French countryside where they soon cross paths with Louise (Judith Godrèche), a beautiful vineyard-owner. Love is on the horizon, but Stuart's going to have to get past a few hurdles -- and out of his own way -- in order to find it in this romantic coming-of-middle-age comedy.